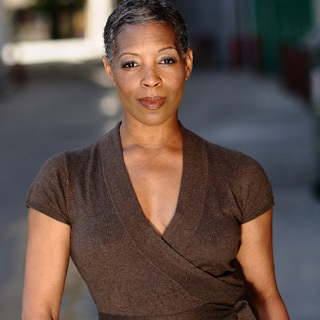 Ms. Gardenhire is the Founder and Artistic Director of City Ballet of Los Angeles. As the Artistic Director & Principal Choreographer Ms. Gardenhire has developed ballets that are classical as well as cutting edge bring new stories and perspective to the ballet. She has also developed a dance institution that reflects the economic and racial diversity of Los Angeles. A scholarship school that offers the lessons of dance to all as well as the professional division that nurtures students to go on to dance professionally. Robyn Gardenhire is a Los Angeles native who began her dance training with former Los Angeles Ballet, with Irina Kovsmoska and Tatiana Lichine. Gardenhire continued her studies throughout her teenage years at the San Francisco Ballet School and in New York at the American Ballet Theatre School and New York City Ballet’s School of American Ballet (SAB). At age 16, Gardenhire became the youngest African-American to be offered a contract with Joffrey II where she performed at City Center and and Jacobs Pillow. She later joined Cleveland Ballet under the direction of Dennis Nahat, and had original works created on her and performed principal roles such as “Choleric” in Balanchine’s Four Temperaments, “Arabian Princess” in The Nutcracker and “Russian Girl” in Serenade. In an effort to expand her artistry, she joined the company of avant-garde choreographer Karole Armitage, touring all over Europe. Upon returning to the United States, Ms. Gardenhire was personally invited to join American Ballet Theatre by Mikhail Baryshnikov and later performed with his White Oak Project working with choreographers Lar Lubovitch and Mark Morris.